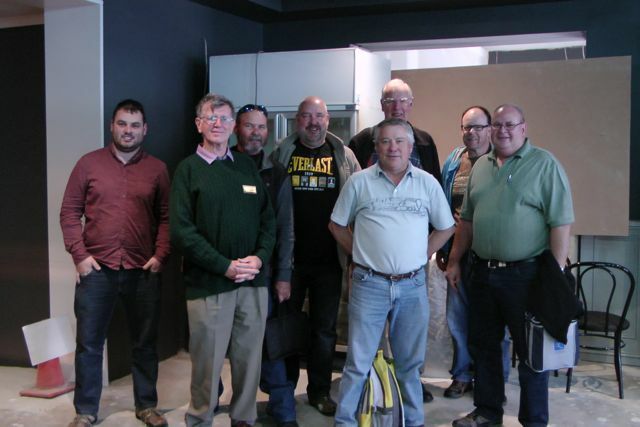 Yesterday, Sunday 27th October, 2013, a group of 8 attended the Kingsford Hotel at Gawler for a lunch to celebrate the 1st year anniversary of SOTA in VK5. Special thanks to Larry 5LY and Andy 5LA who travelled all the way from the Riverland, and Mike 5MCB, who also travelled to the lunch from Pt Pirie. 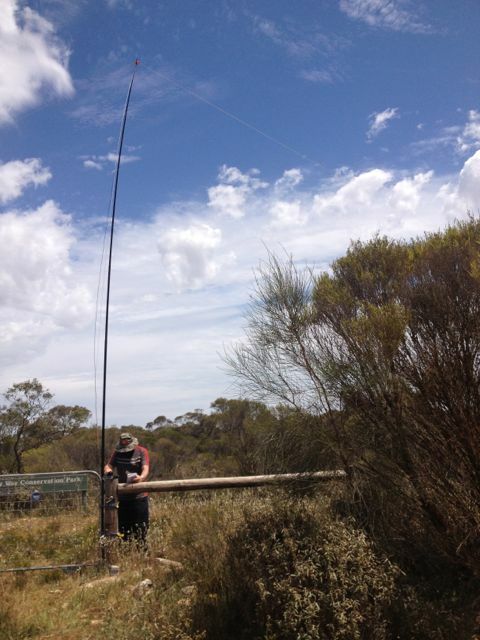 Larry 5LY & Andy 5LA even activated Mt Gawler, VK5/ SE-013, on the way to the lunch. John 5BJE and I received a phone call from Andy to advise that they were on the summit. So John and I pulled the car over, on Lower Portrush Road, and made contact with Larry and Andy from the mobile. John was a bit more generous with his signal report than me. 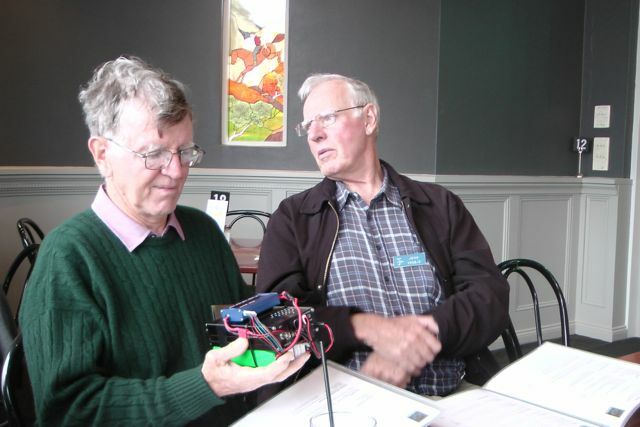 We decided that the afternoon at the pub, would be a show and tell, so a selection of transceivers, antennas, and other gadgets were brought along. It was good to see and hear what equipment everyone was using. It was a really good fun afternoon with a nice meal, a few beers, plenty of laughs, and a few war stories from a summit or 2. Yesterday, Wednesday 23rd October, 2013, I saw a SOTAWatch spot from VK2DAG for Austrian station, OE4JHW, and that he was looking for VK/ZL. So I went up to the radio room and turned the radio on and tuned to 20m. 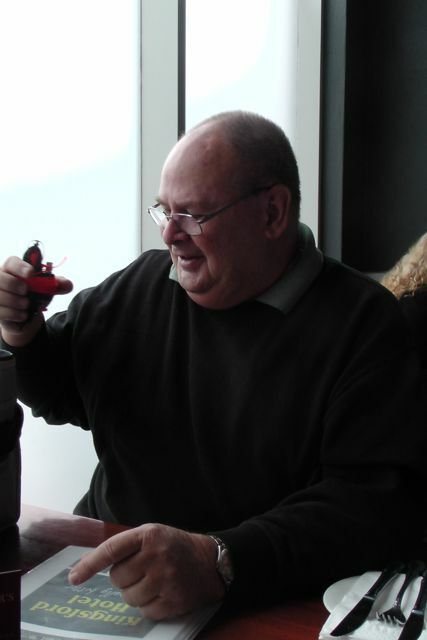 And there he was…..Juergen, OE4JHW, on SOTA peak OE/ ST-252, with an excellent 5/8 signal. Juergen was initially working other Europeans, but within a minute or so, he again asked for VK’s / ZL’s, so I gave him a shout and got through straight away with a 5/9 signal report being returned back to me. I quickly respited Juergen, and soon after I did hear Mal VK3AZZ get through. Not sure how many other VK’s managed to work Juergen, but he certainly had a very good signal here in the Adelaide Hills. 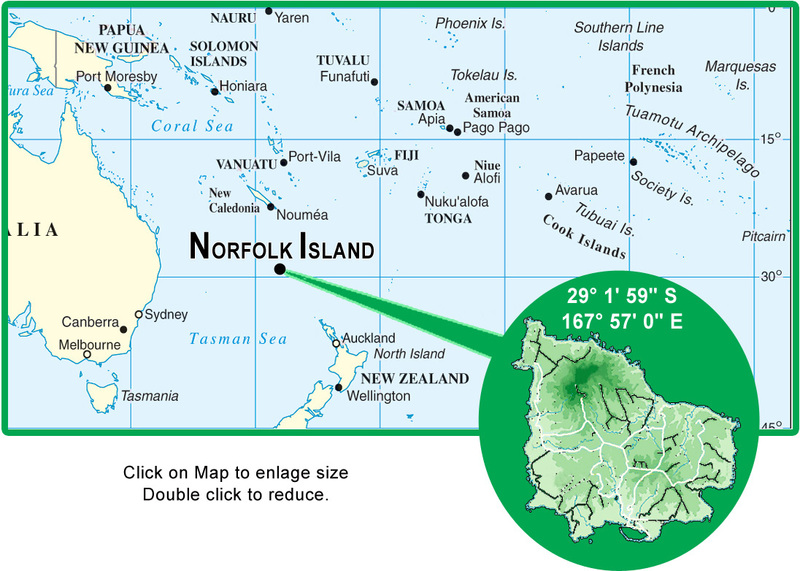 And then today, thanks to an initial sms message from Larry VK5LY, I managed to work Ivan, VK5HS/9 on SOTA peak, VK9/ NO-001, on Norfolk Island. Ivan was initially calling on 40m but I couldn’t hear him at all. I then saw him re spotted on 15m so I had a listen there, and got through to Ivan straight away as there were no apparent Chasers. Ivan was 5/5-7 with QSB and he returned the same signal report to me. There weren’t many chasers for Ivan, so he and I had quite a chat, and Ivan got out his video recorder and filmed a bit of the QSO, as did I at this end. 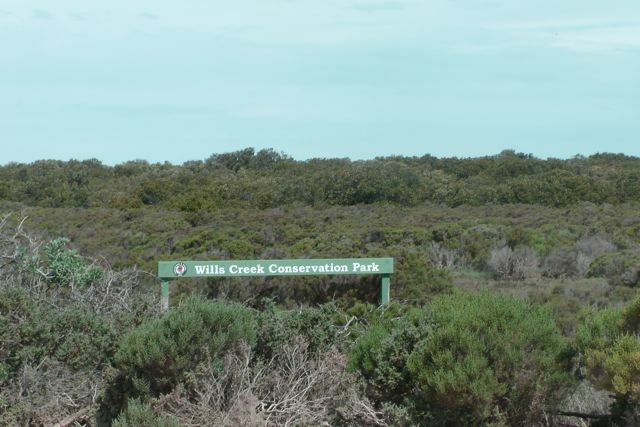 My last activation of the weekend was the Wills Creek Conservation Park, which is situated near the little town of Price on the upper Yorke Peninsula, about 133 km from Adelaide. 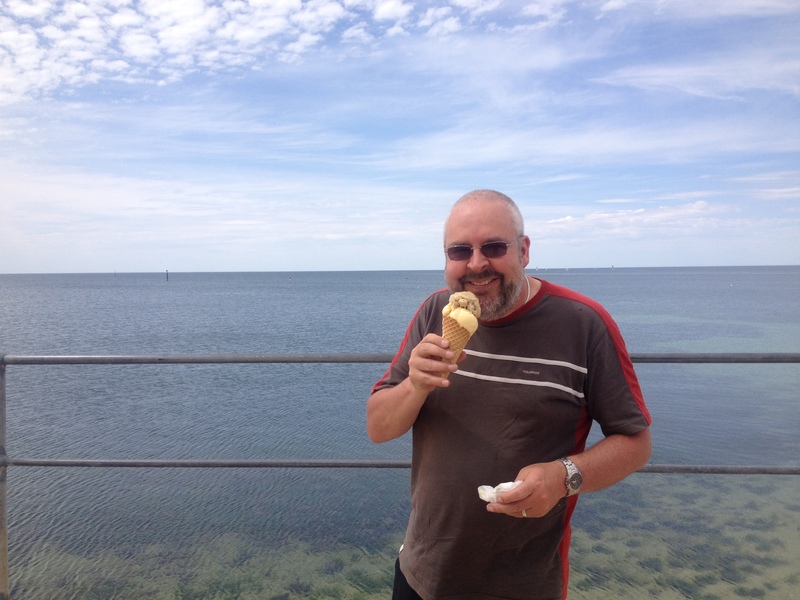 After the activation at the very hot and windy Ramsay Way Conservation Park, Marija and I headed towards the coast, and in to the seaside town of Port Vincent, where we enjoyed an ice cream from the Ice Cream Parlour. We then travelled north on the Yorke Highway towards Price. As we did, we could see South Hummocks SOTA peak in the distance, which I had climbed earlier in the year. Behind that you could see the SOTA peaks, Bumbunga Hill, and Illawarra Hill. Price township, which was proclaimed on the 3rd August 1882, is near the northern boundary of the Hundred of Cunningham. The principal local industries here are grain farming and salt production. In the case of the latter, sea salt is harvested from coastal salt pans. There is not much in the way of facilities here, and the population is only about 250 people. Major landmarks are the Wheatsheaf Hotel, established in 1886, and a caravan park. Price, although not right on the coast, has a causeway running to the Wills Creek CP, which of course contains Wills Creek itself, a mangrove fringed tidal creek, which is connected with the sea, Gulf St Vincent. At the end of the causeway there is a public boat ramp. Once outside the creek, fishing is plentiful. Wills Creek is a very sheltered anchorage for boats and in earlier times it was from here that bagged salt and grain was loaded onto ketches for export. These products are now transported in bulk form by road. 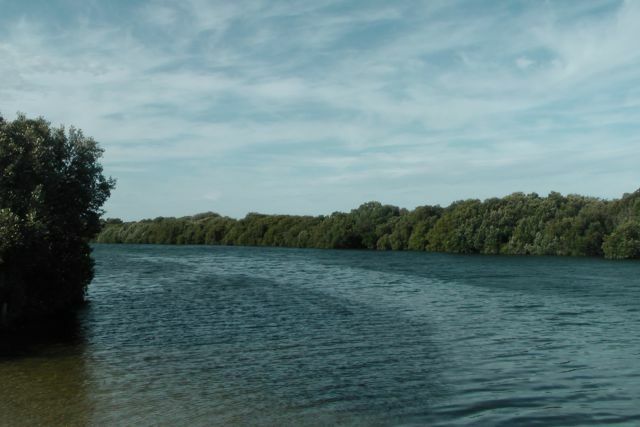 Wills Creek Conservation Park consists of 2,130 hectares of mangrove, and was proclaimed in 2006. Prior to this, the area was Crown land. The park is situated at Mangrove Point on the north-western shores of Gulf St Vincent and is a significant coastal wetland/estuary area supporting mangroves and intertidal habitats. The park extends south from the township of Port Clinton to the town of Price. 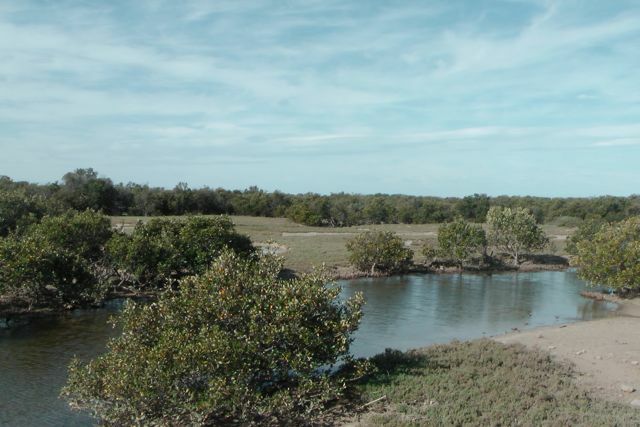 Wills Creek Conservation Park consists of mangrove and samphire habitats along the coastal fringe. Wills and Shag Creeks are known fish nursery areas and as an important habitat for seabirds. 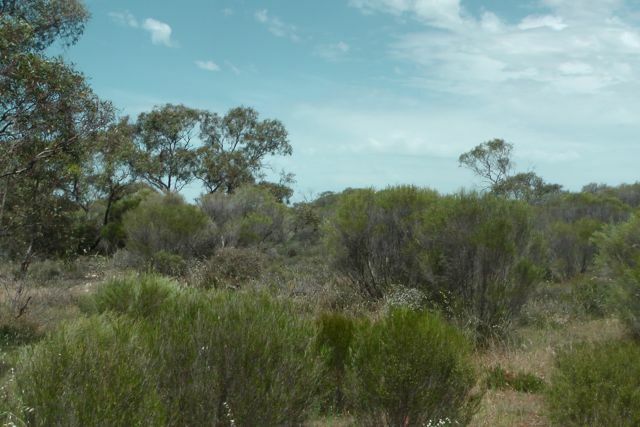 To the north, the mangrove woodland is somewhat atypical, being backed by eroding limestone cliffs topped with mallee and dryland tea-tree vegetation. Wills Creek Conservation Park is subject to active mining leases. 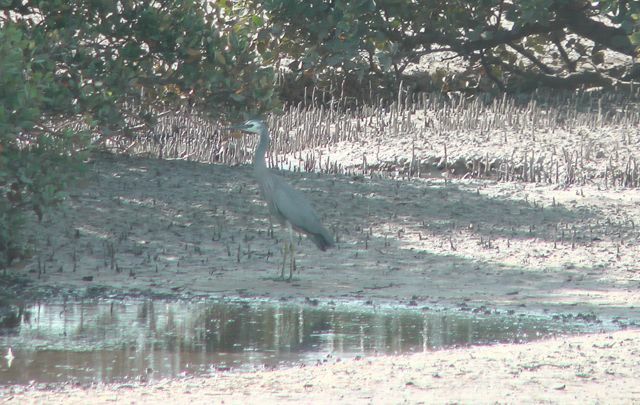 Wills Creek Conservation Park incorporates a nationally listed wetland and estuary of interest, including an extensive area of Grey Mangrove woodland and adjoining shrubland habitat dominated by Scrubby Samphire and Beaded Samphire. The limestone escarpment north of the township of Price supports low woodland of Red Mallee, Dryland Tea-tree and Spear Grass. Only six native plants have been recorded thus far, none of which have a conservation rating. However, there have been observations of Bead Samphire in the park and this species is considered to be of high conservation significance. The park is a haven for a variety of birdlife including White faced herons, Cormorants, Pied Oystercatchers, Thornbills, and Gulls. We travelled passed the old Wheatsheaf pub, and down along the dirt causeway, through the mangroves. At the end of the dirt road, there is a large parking area which adjoins Wills Creek. We were surprised at the number of people that were here, either launching boats or going swimming in Wills Creek. By this stage of the afternoon the weather had become really hot and the wind was still quite strong and gusty. Fortunately there was a tin shelter at the eastern end of the carpark which had tables and benches in it. So it was an ideal place to set up the gear and escape from the hot afternoon sun. The bush flies however did not want to co-operate. They were still out in force, and Marija and I needed to wear our face netting ! We used an adjacent concrete table to the shelter, to strap the squid pole to. On the way to the park I had received a message from Col VK5HCF that he was in Telford Scrub Conservation Park, down in the south east of S.A.. So after we had set up, I tuned to 40m and heard Tim VK5AV calling CQ from Telford Scrub CP with a nice signal. I believe this was Tim’s first ever activation. He has become an active Parks Hunter, but it was great to see him actually out & about in a park himself. During this QSO, a big gust of wind caught the squid pole, and pulled it over, almost bringing the radio with it, as you will see from the video below. After re erecting the antenna, Col VK5HCF also called in from Telford Scrub, and it was nice to bag another Park to Park QSO. The band conditions seemed to have improved a bit, and of course, this time of the day the 40m band generally comes alive again anyway. So as a result I worked a steady flow of callers from VK2, VK3, & VK5. Ron VK5MRE from the Riverland called in using his old ‘boat anchor’ transceiver with a strong 5/9 signal. Regular Park Hunters Colin VK3UBY and his wife Sandra VK3LSC also called in with their usual very strong 5/9 plus signal/s. Sandy suggested there should be an Award for the ladies/wives ‘for sticking it out’. I think she probably has a very good valid point, considering that Marija tolerated my 8 park activations under trying circumstances. On a few occasions I heard Peter VK3YE calling me, who was pedestrian mobile & QRP. Sadly we could not get through to each other. I spoke with Peter a few days later and he told me that he had a weak copy on me, and that there was very bad QSB. This was a good reflection of what the 40m band was like over the weekend. Larry VK5LY also called in. He had just arrived home at Renmark with his wife Di, after activating a number of parks in the mid north of S.A. Congratulations Larry, and well done Di, for putting up with the park activations. 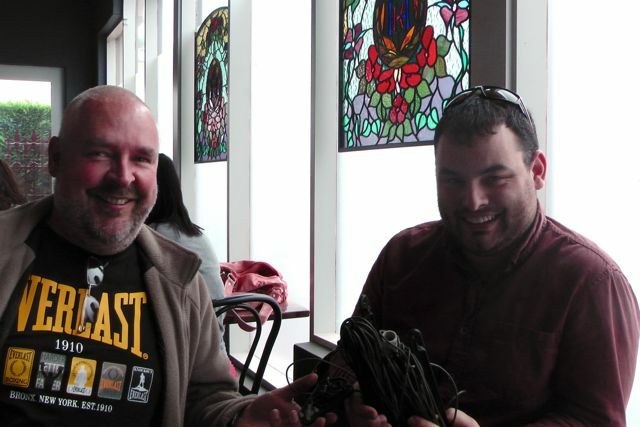 I also had a contact with Bernard VK2IB who was using a new Yaesu FT-817, and he was giving it its first run on air. 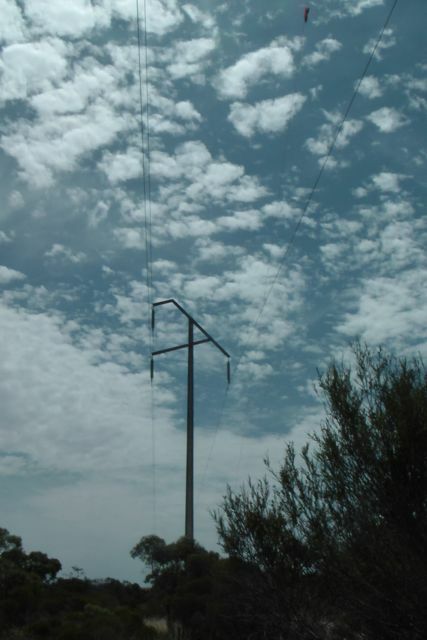 Bernard was operating from his bush block at Talmalmo, on the Murray River, east of Albury, and was using a linked dipole about 6 m from the ground in an inverted fee configuration. Bernard and I exchanged 5/3 signal reports. I was getting close to packing up and calling CQ for last callers, when much to my surprise, Phil VK3BHR called in. He was portable on SOTA peak, un-named summit, VK3/ VC-032. It was great to be able to make contact with Phil, who initially was struggling to get his 4 contacts. 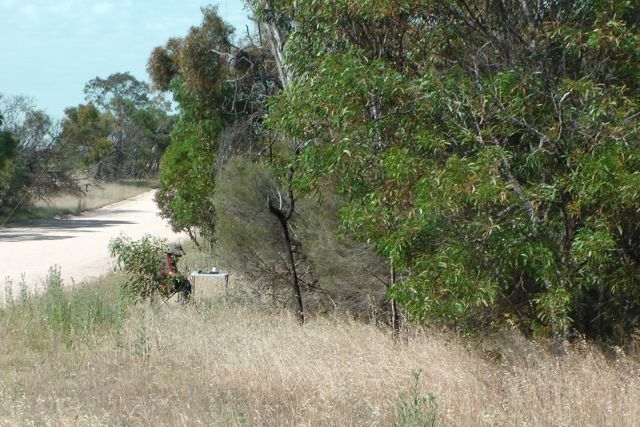 My last contact of the weekend was with Garry VK3FREQ who was mobile in the Flinders Ranges National Park (5/3 both ways). I had a few people approach Marija and I whilst I was operating. 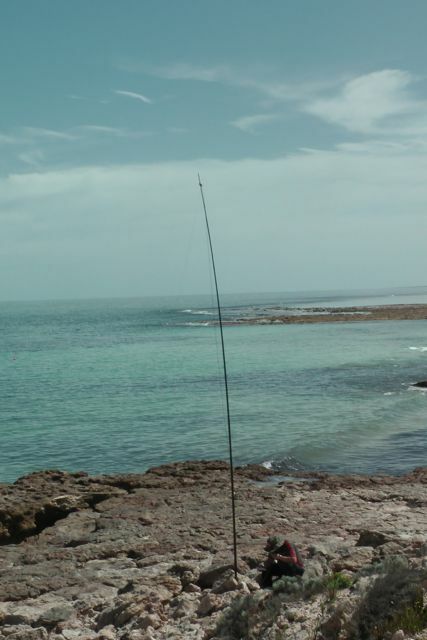 One gentleman was familiar with amateur radio, whilst another one saw my squid pole and asked if I was having an success in catching anything. Maybe I should have brought the fishing rod and thrown a line into the Wills Creek whilst I was operating. As mentioned, this was a much more productive park as far as contacts. I ended up with 24 QSO’s on 40m SSB into VK2, VK3, & VK5. Tim VK5AV/p (Park to Park); Col VK5HCF/p (Park to Park); Brian VK5FMID/qrp; Ron VK5MRE; Colin VK3UBY; Sandra VK3LSC; Peter VK3PF; Andrew VK3BQ/m; Ray VK3YAR; David VK5NQP; Dave VK2JDS; Larry VK5LY; Noel VK3FI; Dennis VK5FDEN; Andy VK5AKH; Shaun VK5FAKV/m; Bernard VK2IB/p; Ted VK5KBM; Tony VK3CAT; David VK5KC; Phil VK3BHR/p (SOTA); Trevor VK5ATQ; Paul VK5MAP; and VK3FREQ/p. This was the end of a thoroughly enjoyable, but challenging weekend. I had activated all 8 planned parks, and had a total of 90 QSO’s. Band conditions were very flakey. Weather conditions were hot and windy. The flies were amazing…hundreds of them. And then there was the antenna problems. 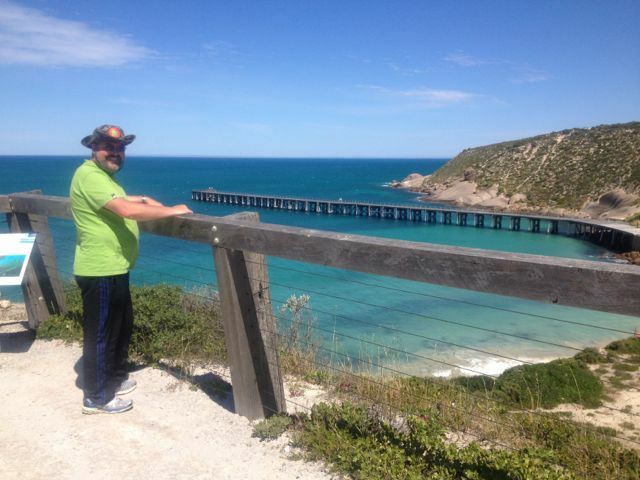 But I had filled plenty of pages in the notebook, and the scenery on the Yorke Peninsula was quite amazing. Thanks certainly go to my very tolerant wife, Marija for accompanying me on the trip. 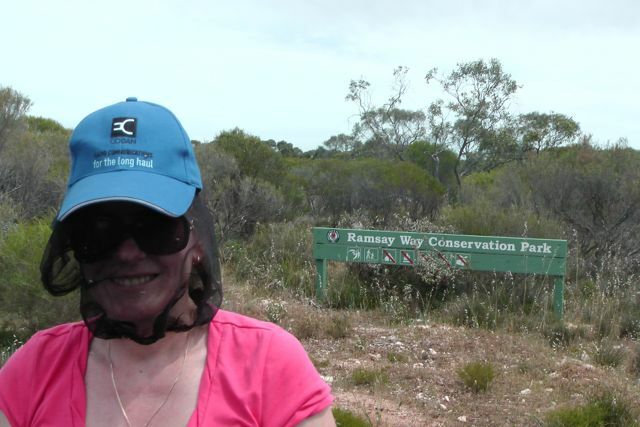 I have placed some video on You Tube of my activation at the Wills Creek CP…..
From Barker Rocks CP, Marija and I headed back inland from the west cost of the Yorke Peninsula, to our third activation of the day, the Ramsay Way Conservation Park. 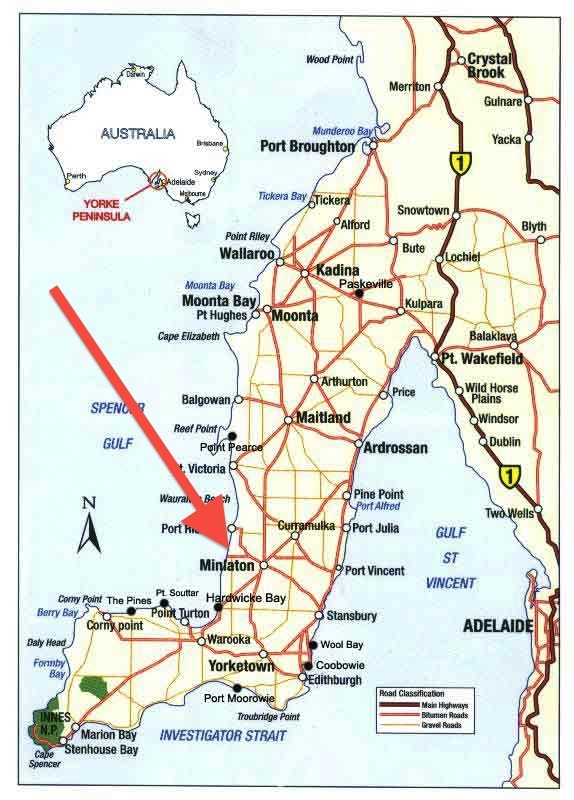 We travelled back to Minlaton and then west along the Port Vincent Road towards the eastern coast of the Yorke Peninsula. We then travelled west along the Old Coast Road, until we saw the park on our right hand side. On this northern side, the park was set some distance off the road and to gain access, you needed to travel over private property. So we continued east, and then turned right onto Power Line Road. Just the name of the road should have set off alarm bells. It was not until I travelled down the road for a few hundred metres that I saw large powerlines following the eastern boundary of the park. Immediate though was….NOISE ! There was an access gate into the eastern side of the park, but this was locked. So we found what little shade there was and parked the car. It was starting to get really hot and the wind was still quite strong. I used the eastern boundary fence to secure the 7m squid pole, with some octopus straps, and ran the 40m/20m linked dipole, along the fence line. I rested the Yaesu FT-817nd on a permapine post. All of the maps I have seen refer to this park as the Ramsay CP. 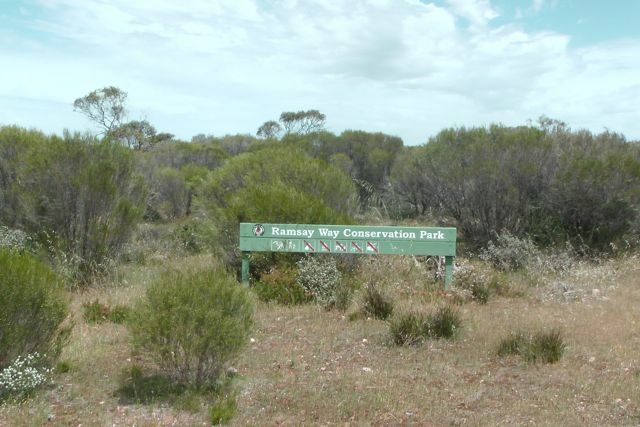 However the park sign refers to it as the Ramsay Way Conservation Park. Ramsay Way Conservation Park is 147.2 hectares in size and was proclaimed in 2008. 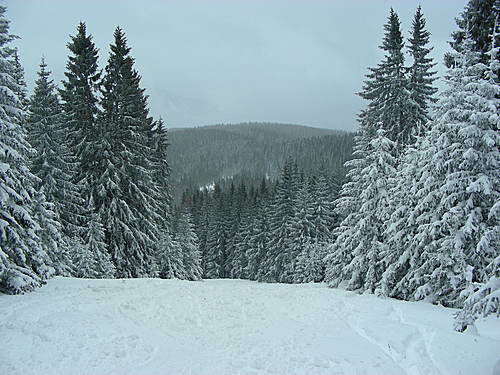 It is a small park in the Minlaton-Curramulka Threatened Habitat Area. Over 80 native plant species have been recorded in the park. 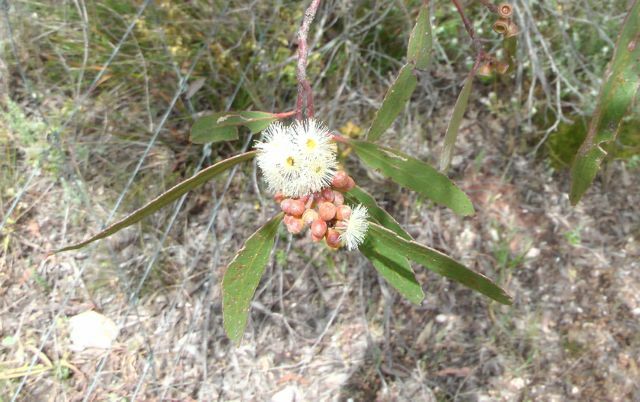 Its dominant vegetation is sheoak and mallee, with very low woodlands and a grassy understorey. It occurs in a high priority bioregion and conserves some species of conservation significance, including the nationally and state endangered Jumping-jack Wattle, which has not been recorded thus far in any other National Parks and Wildlife Act reserves on Yorke Peninsula. A large proportion of Ramsay Way Conservation Park supports Mallee Box, Drooping Sheoak woodland with intact grassy understorey in generally good condition. Temperate grassy woodland such as this is a rarity in South Australia because this vegetation has been largely cleared for agriculture. Upon turning the radio on my fears were realised. The noise floor was really high…..a constant S7 Obviously due to the power lines. I could have ventured further into the park away from the power lines, but I didn’t fancy doing this, as it was a hot day and I am sure there would have been plenty of snakes around. 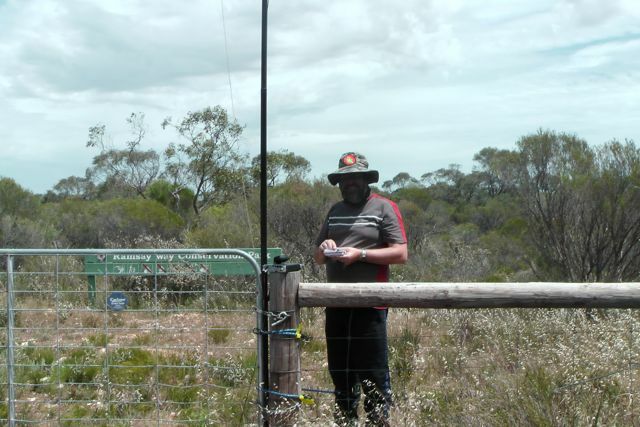 My first contact in the park was with Greg VK5ZGY who was portable in the Tantanoola Caves Conservation Park (5/7 both ways). I was then called, much to my surprise, by Andrew VK2UH who had a good 5/8 signal coming in from NSW. This was my first VK2 contact during the weekend. I then managed another Park to Park contact with John VK5BJE who was portable in the historic Fort Glanville Conservation Park. Before packing up I had three more Park to Park QSO’s. 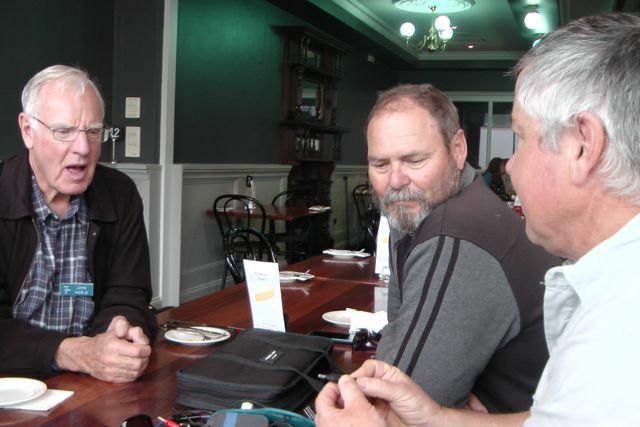 One with Col VK5HCF who was with Greg, in the Tantanoola Caves CP; then Ian VK5CZ who was portable in the Spring Gully Conservation Park near Clare; and finally with Larry VK5LY who was portable in the Brookfield Conservation Park. I operated on 40m SSB for about 45 minutes in the park, and ended up with 11 QSO’s into VK2, VK3, & VK5. It was time to head into Port Vincent for some refreshments. Greg VK5ZGY/p (Park to Park); Andrew VK2UH; John VK5BJE/p (Park to Park); Tim VK5AV; Col VK5HCF (Park to Park); Colin VK3UBY; Sandra VK3LSC; Trevor VK5ATQ; Ian Vk5CZ (Park to Park); Tom VK5FTRC, and Larry VK5LY/p (Park to Park). 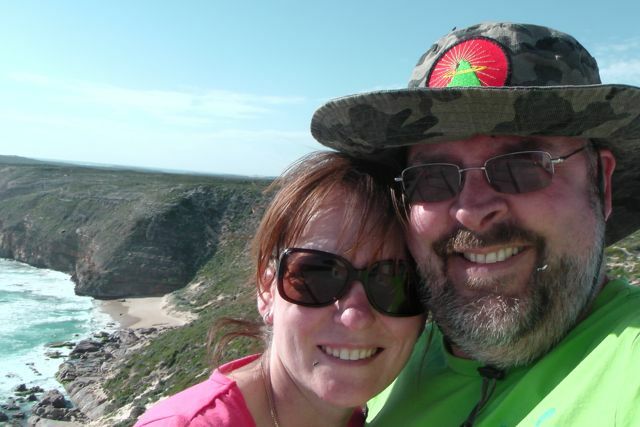 I have posted a video on You Tube of this activation…..
After the activation at Minlacowie Conservation Park, Marija and I headed off towards our 2nd park of the day, the Barker Rocks Conservation Park, which is situated on the coast, on the western side of Yorke Peninsula. It is just south of Port Rickaby. We travelled back along the dirt to the Minlaton-Yorketown Road and headed north into the little town of Minlaton. We stopped at the Visitor Centre at Minlaton and found the 2 ladies there to be very friendly & helpful. We couldn’t go passed the local bakery and a susage roll and orange juice. We then headed out towards the coast on the Rickaby Road, and then turned left into Barker Rocks Road which took us down to the coast and the park. There is a large carpark and camp ground area at the end of the road, and a path leading down to the beach. Well, in fact there is no beach. It is all rock. That’s how the park got its name. 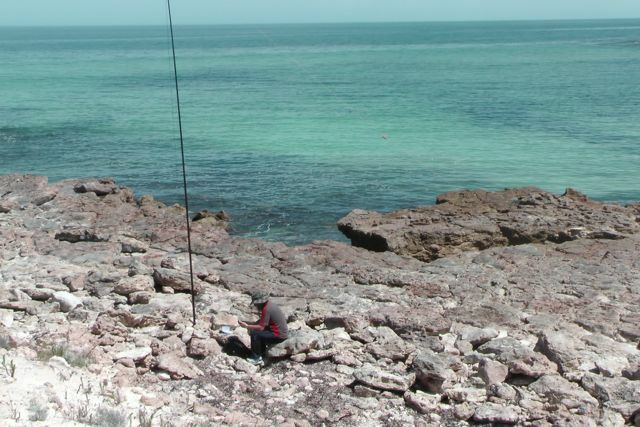 So I secured the squid pole between some rocks and stretched out the 40m/20m linked dipole. There were quite a few fisherman on the foreshore. I must have been the only guy using a squid pole for a different reason ! Sadly the VSWR on the dipole was high again, and despite all my best efforts I could not resolve the issue. So I planned on just getting as many contacts as possible and heading off to the next park. I called CQ on 7.110 and was greeted by Tim VK5AV who had an excellent 5/9 signal. This was followed by John VK5BJE who was portable in the Marino Rocks Conservation Park. So I was happy. I had 2 contacts. But despite a number of CQ calls, I had no more takers. So I tuned across the band and found Col VK5HCF who was portable in the Gower Conservation Park in the south east of S.A. 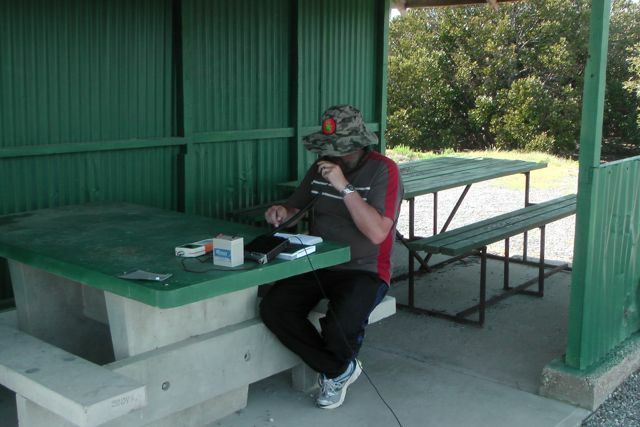 I spent about 30 minutes in the park and managed to scrape up 6 QSO’s on 40m SSB, including 2 Park to park contacts. 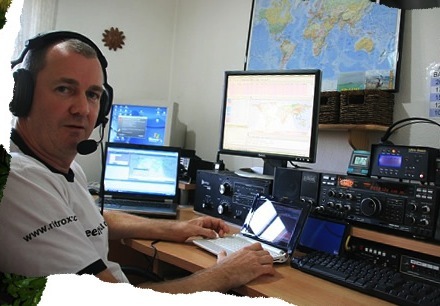 It was good to hear from Tom again, VK5FTRG, who has just acquired his Foundation licence. Tim VK5AV; John VK5BJE/p (Park to Park); Col VK5HCF/p (Park to Park); Eddie VK5EDM; Tom VK5FTRG; and John VK5DJ. 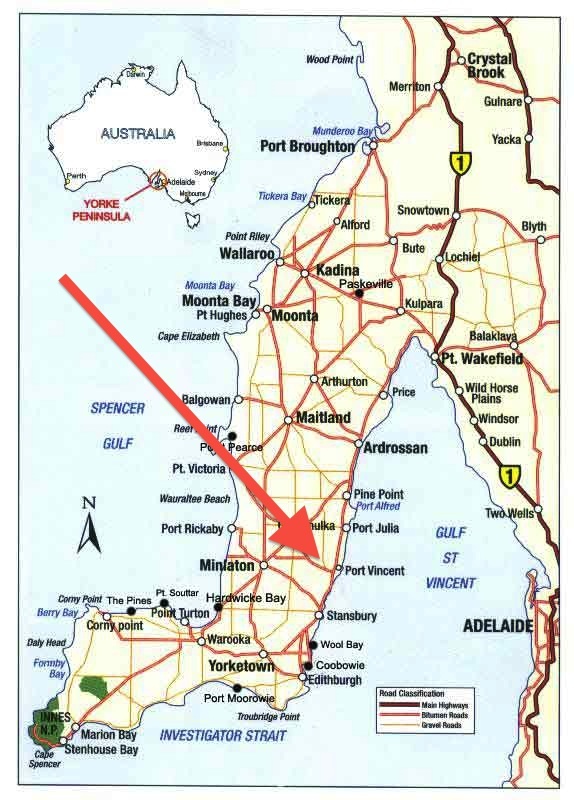 I have posted a video on You Tube of the activation…..
My first of 4 activations for Sunday 20th October, was the Minlacowie Conservation Park, which is located on the Yorke Peninsula, about 13 km west of Stansbury, and about 218 km from Adelaide. So bright and early Marija and I got up, and enjoyed a coffee and breakfast on the porch of the cabin at the Corny Point Caravan Park. It was a beautiful morning. Already very warm, with an expected top temperature of 35 deg C. Following breakfast we headed off after 2 enjoyable nights in Corny Point. Marija and I highly recommend the caravan park here. It was clean and tidy, and the owners were very friendly. Before heading off to the park, we detoured to the local general store and purchased some fly nets to cover our faces. The bush flies on Saturday had been intolerable. 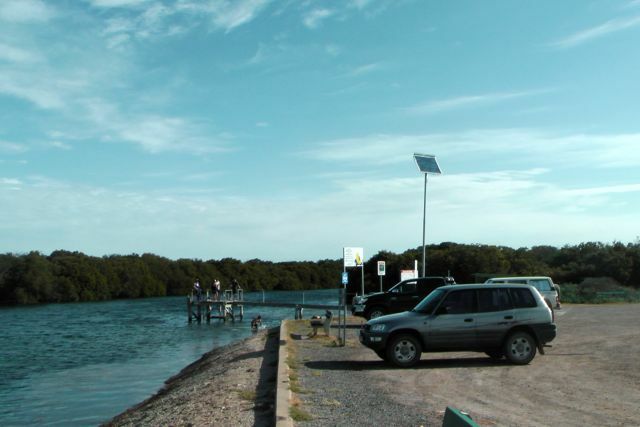 We then headed out onto the Yorke Highway and into the little town of Warooka, and then on to Hardwicke Bay. We continued north on the Yorke Highway and passed through the little settlement of Brentwood. Not far out of Brentwood, we then turned right onto Rogers Road (a dirt road), and followed this through to the old Minlacowie South school, which is now a ruin. After a brief stop to have a look at the old school, we continued west on Rogers Road until we saw the Park on her right hand side. 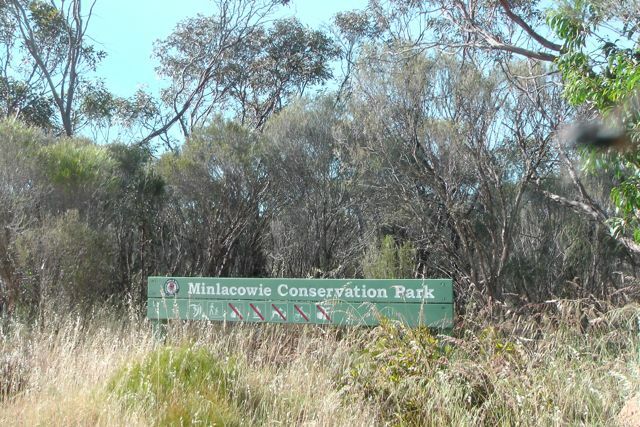 Minlacowie Conservation Park, which was proclaimed in 2008, consists of 28.5 hectares of native bush which is now rather rare on Yorke Peninsula. The park is an area of high biodiversity, with at least 87 native plant species observed. The park comprises a small patch of remnant mallee / broombush vegetation in very good condition, and conserves a number of significant plant species including the nationally and state vulnerable Winter Spider-orchid. The park is dominated by Ridge-fruited Mallee together with Narrow-leaf Red Mallee and Beaked Red Mallee and Dryland Tea-Tree and Broom-bush. 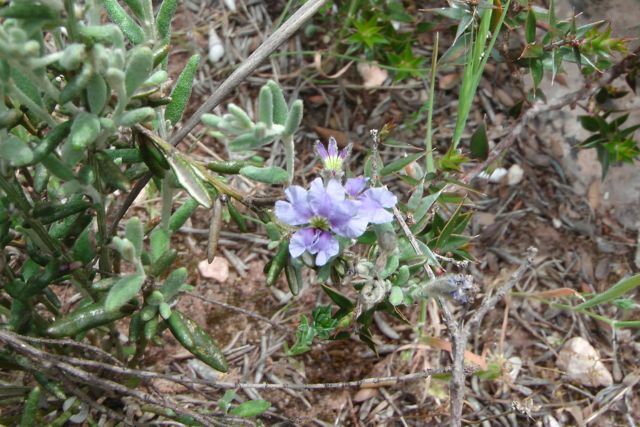 There is a good ground cover including Mallee Bitter-pea, Rosemary Damperia and Common Stylewort. We could not find any access to the park on the northern side, so we turned right onto Savage Hut Road (a dirt road) which followed the western boundary of the park. Again there was no visible access point to the park. So Marija and I stopped on the side of the road, and set up just of the roadway, not far from the intersection. Sunday was shaping up to be a very hot day and it was already stifling with a very stiff breeze. The mallee scrub of the park is very thick and I didn’t fancy walking to far in through fear of snakes and goannas. And it would have been physically impossible to set up the dipole. So I attached the 7 m squid pole to the dead branches of a tree, utilising some octopus straps. I set up my little fold up table and deck chair, and I checked the antenna with the antenna analyser. And to my surprise, the VSWR was through the roof. The linked dipole can be a little. But despite, the VSWR was still really high. 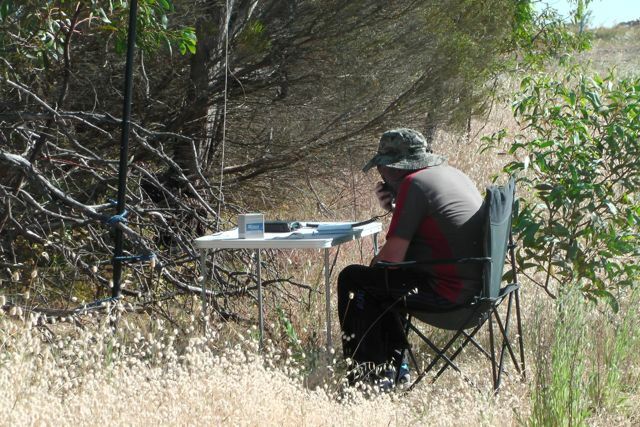 I put a few calls out on 40m but got no answer so I hunted around the band and found Larry VK5LY who was portable in the Spring Gully Conservation Park, near Clare. 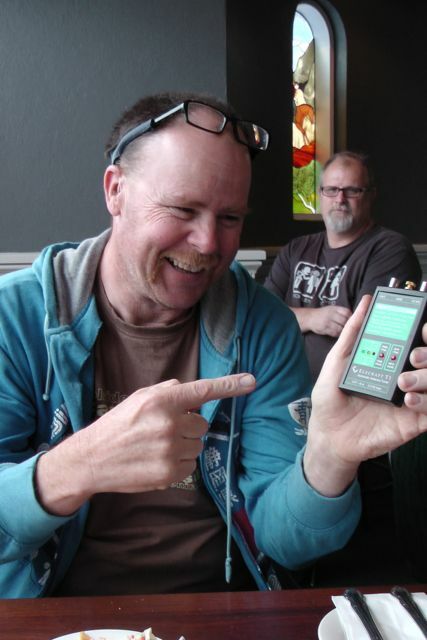 Larry was a good strong 5/9 signal and was using his new Wouxon X1M transceiver. I breathed a sigh of relief. I ahd one contact. I had qualified the park. 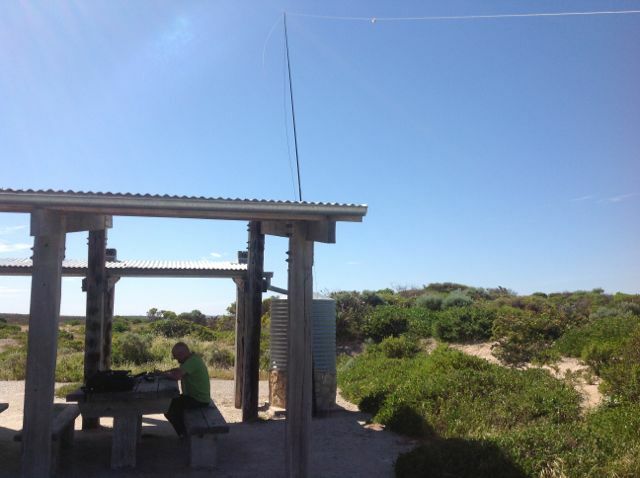 Larry told me that John VK5BJE was up 5 kc, so I headed up to 7.110 and found John calling CQ from the Hallet Cove Conservation Park with a good strong 5/8 signal. At the conclusion of the QSO with John, Graham VK5KGP asked me to QSY up 5. So I obliged and had a chat with Graham, before I decided that the heat, the flies, and the antenna issues, were not worth sitting in the sun for. So I packed up hoping that Barker Rocks Conservation Park, which was on the coast, would be a little bit more pleasant, and that I might be able to solve the antenna issues. During the activation I had a local farmer drive by and ask me what I was researching. So I explained to him that I was a silly amateur radio operator sitting in the heat with the flies talking to other hams. He was quite interested, but warned me not to venture too far into the scrub because of all the snakes. After just 15 minutes in the park, I had 3 QSO’s in the log. This is the lowest number of contacts I have ever had from a park. Larry VK5LY/p (Park to Park); John VK5BJE/p (Park to Park); and Graham VK5KGP. 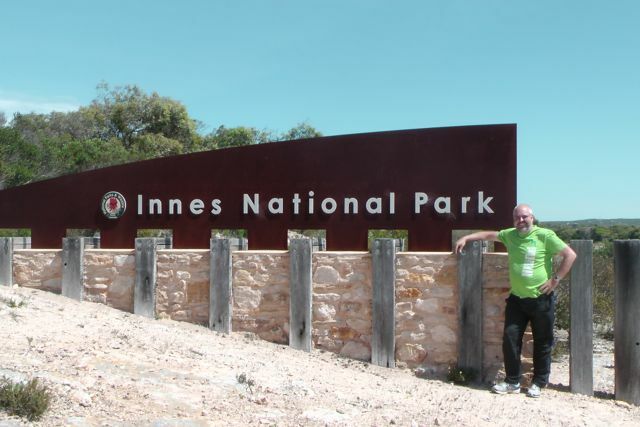 My last activation for Saturday, 19th October, was the Innes National Park, which is located on the southern tip of the Yorke Peninsula, about 295 km from Adelaide. 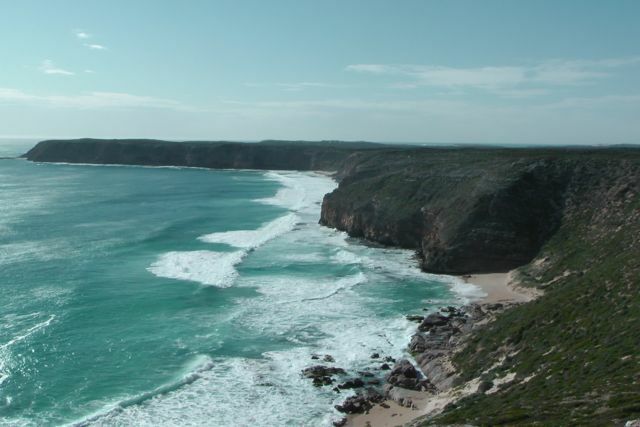 Innes National Park comprises 9,415 hectares of natural coastal vegetation, and represents one of only a few pockets of significant vegetation on the Yorke Peninsula. As such it is a very important National Park for biodiversity. 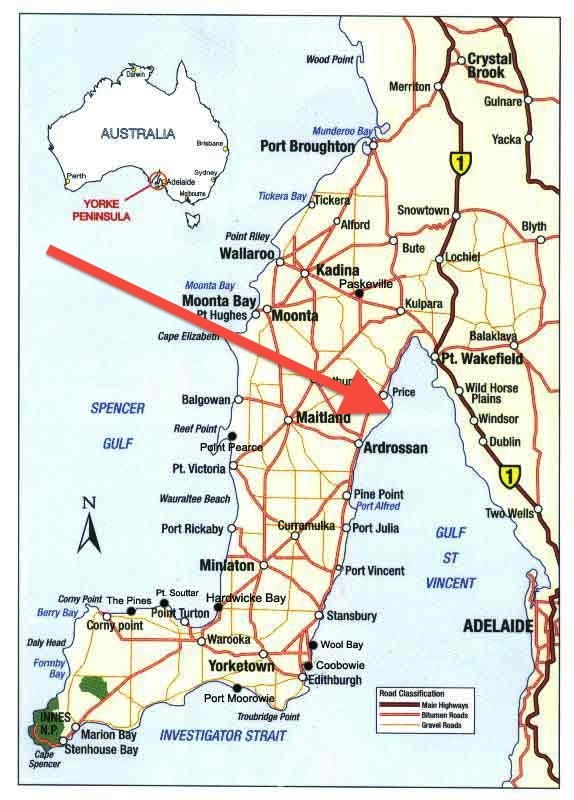 The Narungga aboriginal people have lived on the Yorke Peninsula for thousands of years. They were made of of four clan, the Kurnara in the north of the peninsula, Windera in the east, Wari in the west, and Dilpa in the south. 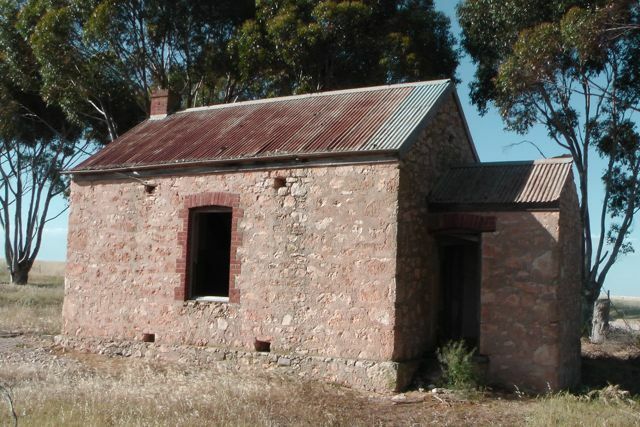 In 1847, European colonisation of the Innes area commenced, with land occupied for sheep grazing near Cape Spencer. Small scale cropping increasingly occurred throughout the 19th and early 20th centuries. Innes National Park takes its name from William Innes, who discovered commercial quantities of gypsum in the area during the early 1900’s. In 1913, he established the mioning township of Inneston, where gypsum was produced up until 1930. Inneston had a population of about 200 people during its boom phase. Despite being isolted, the township of Inneston was completely self sufficient, having its own school, post office, bakery, general store, and tennis court. About 333 native plants have been recorded in the park. Of these, 115 are of conservation significance. Innes NP is home to about 140 species of birds, with many of these being of conservation significance. They include the shy Western Whipbird, and the Malleefowl. 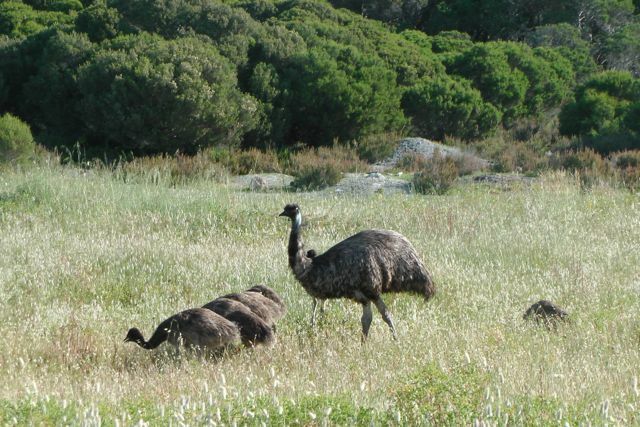 Western Grey kangaroos and emus roam freely in the park, as we found out. The speed limit throughout the park is generally 40 kph for good reason, as the road is often dotted by kangaroos and emus. A wide variety of reptiles also call the park home, including the deadly Brown snake, sleepy lizards (of which we saw numerous), and Eastern Bearded Dragons. Southern Right whales pass along the coast from May to September, whilst dolphins are also regular visitors to the park’s waters. 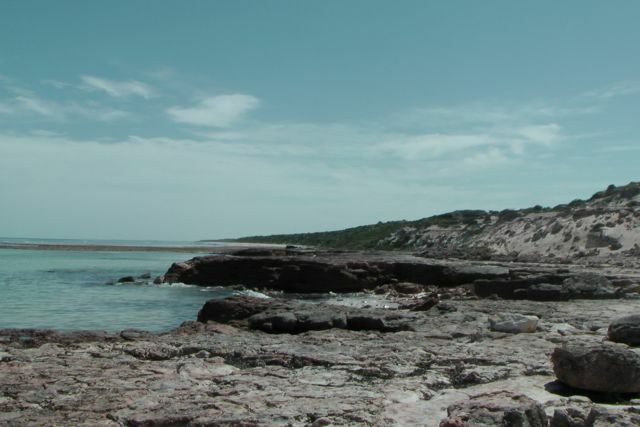 There are a large number of shipwrecks on the ocean floor off the coast of the Yorke Peninsula and Innes National Park. In fact, the remains of about 40 ship wrecks can be found. Many of these fell victim to the unpredictable storms that frequent the area. There were certainly no storms on the peninsula today. The temperature was about 35 deg c.
Marija and I drove into the park via the seaside town of Marion Bay. Marion Bay has a small population of approximately 130 people. This swells to 500-900 during holiday periods. We stopped at Stenhouse Bay and decided to set up the radio gear here. There was a terrific view of the Bay, and more importantly there was a big timber shelter that looked very inviting, to shelter us from the hot afternoon sun. 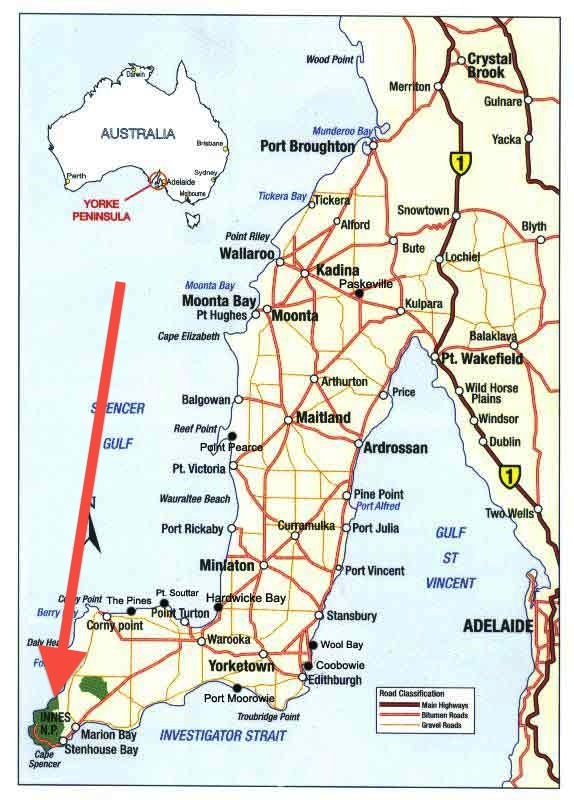 The township of Stenhouse Bay is at the western tip of Yorke Peninsula, and was named after Andrew Stenhouse, who in the 1920s had a business called the Permascite Manufacturing Company. Stenhouse helped commence the gypsum industry in this location. The Waratah Gypsum Company had works here for the quarrying and exporting of rock gypsum. Gypsum after being washed, roasted and ground, was used in the manufacturing of plaster of paris and cement. The quality of the gypsum in this area was exceptionally high class and most of Australia’s needs were supplied from here. The Waratah Gypsum Company closed its works and the town was sold to the South Australian Government which demolished the town except for the few houses required for the rangers of the National Parks and Wildlife Organization who look after Innes National Park. Our operating spot overlooked the Bay and the Stenhouse Bay jetty which was constructed to enable ships to berth and load the bagged gypsum. After an hour of operating, Marija and I decided to pack up. There was a lot to see in the park, and we still had to drive back to Corny Point, where we had plans to go out for tea at the Howling Dog Tavern. I was relatively happy with 17 QSO’s in the logbook from VK3 & VK5. Colin VK3UBY; Sandra VK3LSC; Maitland VK5AO; John VK5BJE; Andy VK5AKH; David VK5KC; David VK5BAR; Ian VK5CZ; Mark VK5QI; Brian VK5FMID; Larry VK5LY/p (Park to Park); Peter VK3PF; Bill VK5MBD; Tim VK5AV; Robin VK5TN; Col VK5HCF; & Bsil VK5BK. I have placed some video on You Tube of the activation…..